They say that you can appreciate something more by learning about its roots. By finding out how something began, you can understand why it is the way it is. When it comes to the water coming from a well, its origins are actually quite interesting. As you know, a water well gets the water from deep beneath the ground. Most municipal water systems rely on what is called surface water. As the name suggests, they’re water sources that are found on the surface of the planet such as lakes and rivers. On the other hand, the source for water wells is called groundwater. Let’s talk about where groundwater comes from and why it matters. Like surface water, groundwater has a pretty self-explanatory name. It’s water that’s found deep in the ground. This may conjure up images of freely-flowing pools of water that’s like a buried liquid bubble. However, that’s not actually the case. Groundwater is most commonly sourced from aquifers. Aquifers are an underground layer of permeable rock and other materials such as gravel, sand, and silt that can contain water. Aquifers can be found at different depths but it is the shallower ones that are likely to be used as a water supply. How does water get into the aquifer? There is something called the water cycle that involves the constant movement of water on the earth. Part of that cycle is water falling back to earth as precipitation which then slowly seeps underneath the soil. That water then slowly makes its journey even deeper underground, through rocks and other minerals until it reaches the aquifer. Depending on the depth, it can take anywhere from days to years or even centuries for the water from the surface to reach the aquifer below. This entire process is called groundwater recharge. Why does the source of water matter? Surface water sources such as lakes and rivers are exposed to the surroundings. That means they are more susceptible to pollution and contamination. When used for distributing water to the local population, municipal water systems have to rely on water treatment plants to make sure it’s clean enough for people to use. 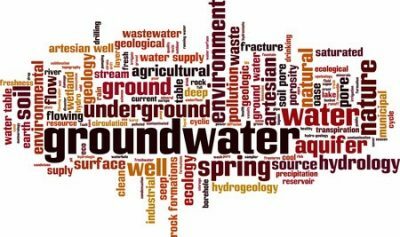 Since groundwater is beneath the surface, it’s less susceptible to contamination. The rocks and minerals also act as filters that help clean the water as it flows through. These natural processes are responsible for making groundwater safer to use when it eventually gets back to the surface. How does water get back to the surface? There are natural pathways that groundwater can go through to make its way back topside. Springs are an example of this. Groundwater can also be extracted by drilling water wells. This makes it convenient for distribution and also allows for additional treatment of the water if so desired. Because of this, many have turned to getting a private water well installed on their property as their main water source. They say goodbye to their monthly water bill, have complete control of their water, and can enjoy clean water that is free from chemicals and other nasty ingredients typically used to treat water. 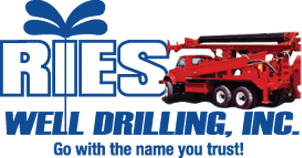 To know more about how you can get a water well of your own, get in touch with Ries Well Drilling. Since 1983, we’ve provided water well installation and maintenance services to Macomb, St. Clair, Oakland, and Lapeer Counties. Give us a call today.